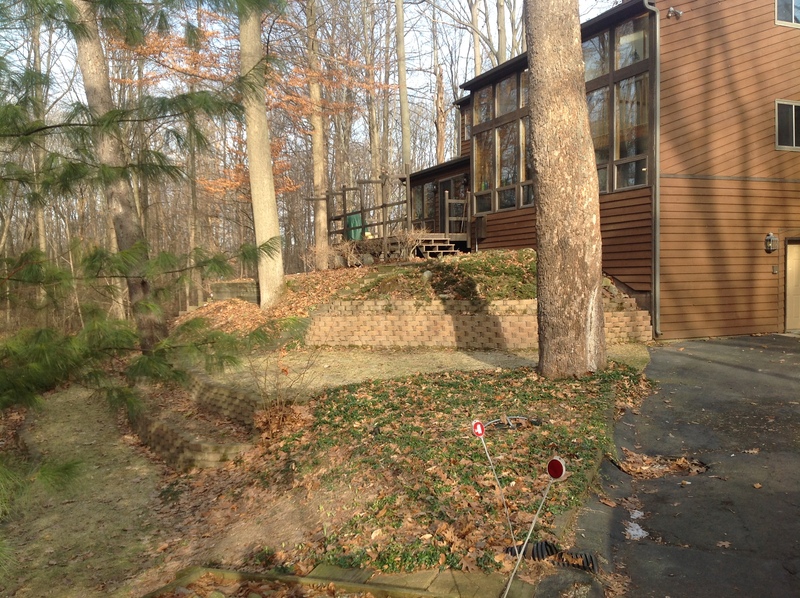 These clients found us while they were searching on Houzz for ideas and companies for their landscape makeover. 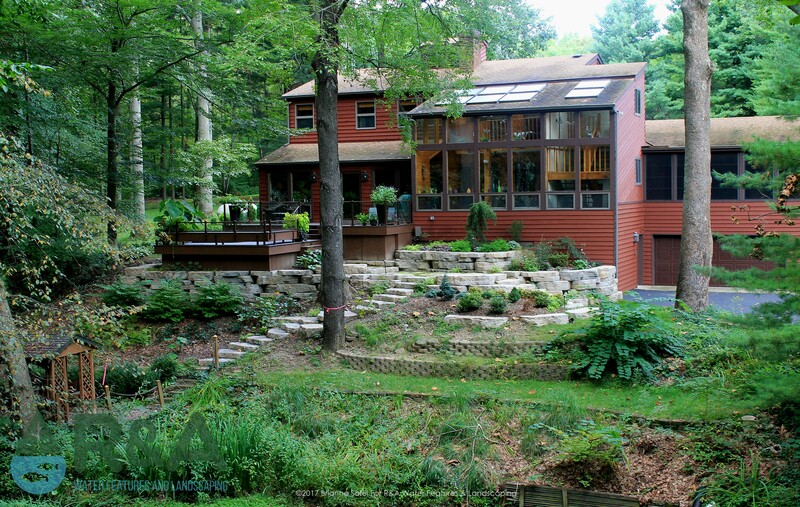 Enjoying time outdoors at their Eau Claire weekend getaway was important to these Chicago residents. 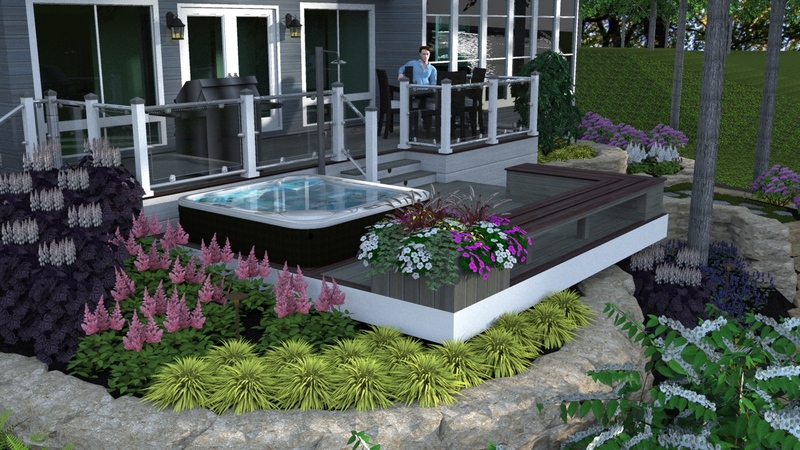 To enjoy time outdoors it was important for this family to have an outdoor space that would be functional, flow well from one space to the next, and be easily accessible. 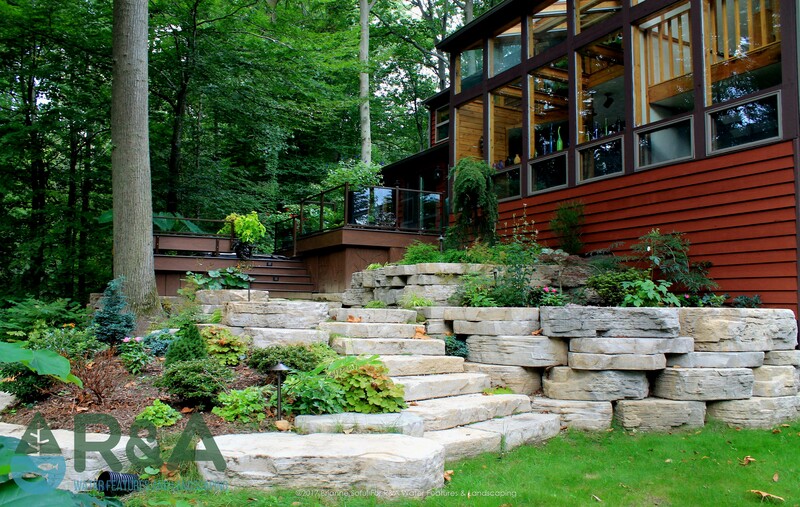 The existing retaining walls needed replacing, the clients needed steps to get to their pond, which was a challenge due to the extreme slope. 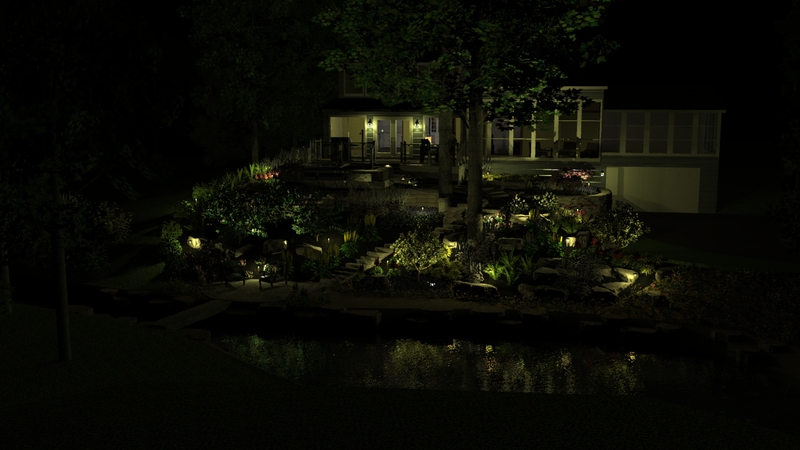 The clients also wanted to have plants added into their landscape that would be easy to maintain and survive in the shade. 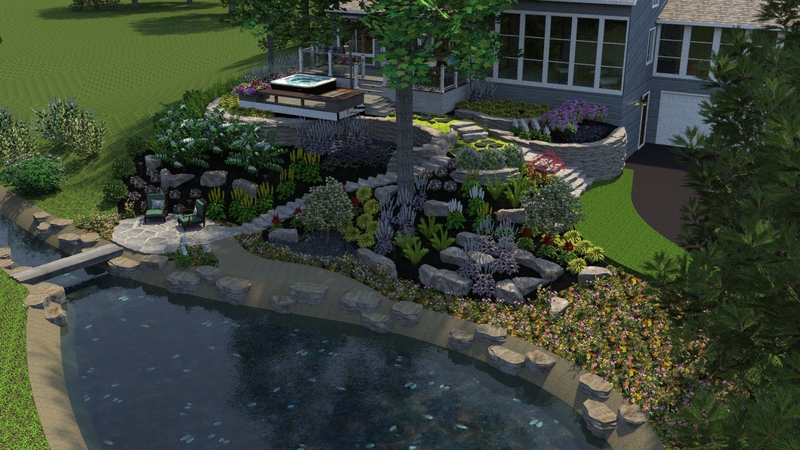 Since there were many areas this family wanted to tackle on this project, we started with a landscape design and broke the whole project up into phases. The first phase included the deck, retaining walls, steps, and plants. 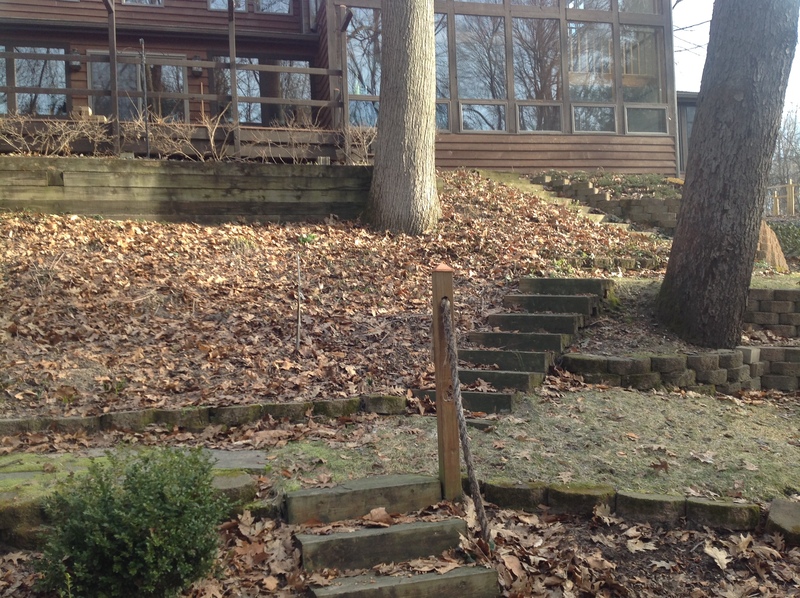 The existing deck was removed and in its place we built a larger tiered deck with a spot for a recessed hot tub. 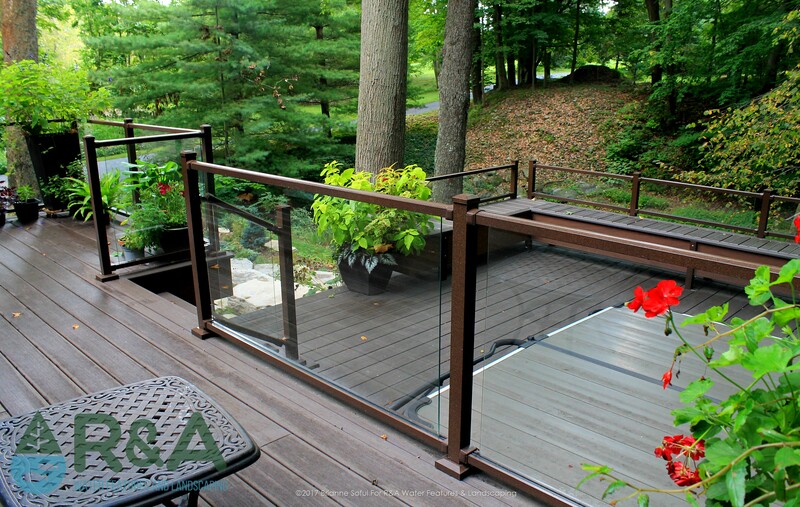 The deck was built out of composite decking which last much longer than traditional decking material.We used glass panels for the railing on the deck allowing them to have an unobstructed view of their beautiful wooded property. 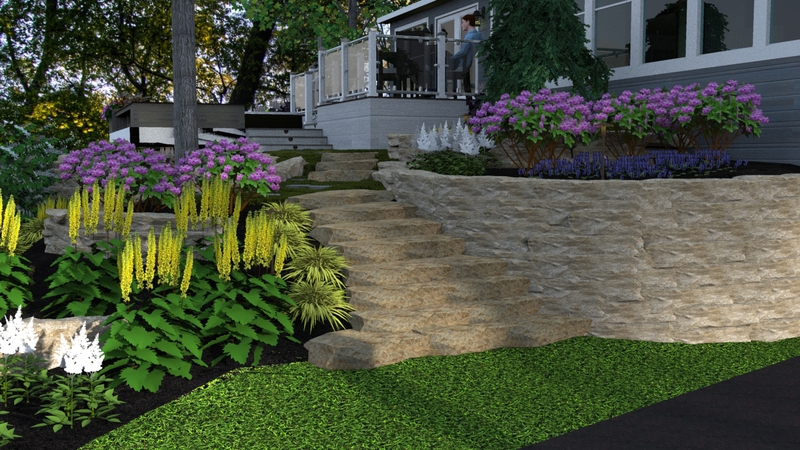 We replaced the existing retaining walls with an high quality engineered product by Rosetta, which will last for years while still retaining the beautiful look. 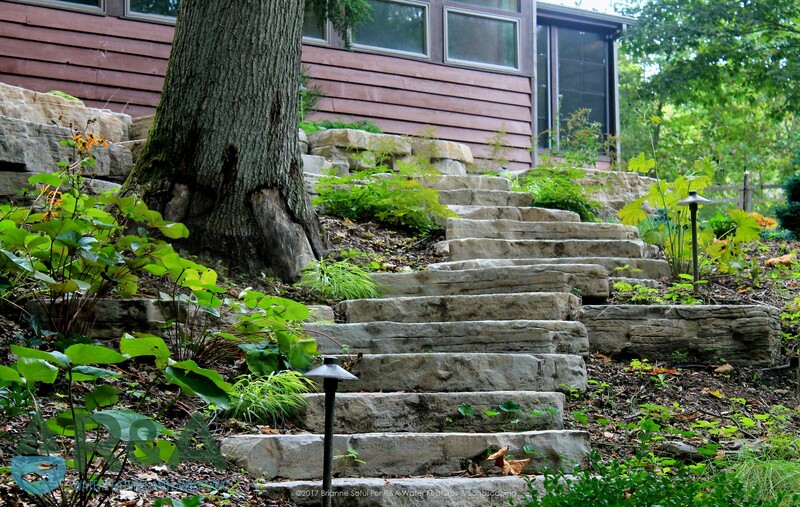 Along with the retaining walls we added large tread stairs made from the same product. 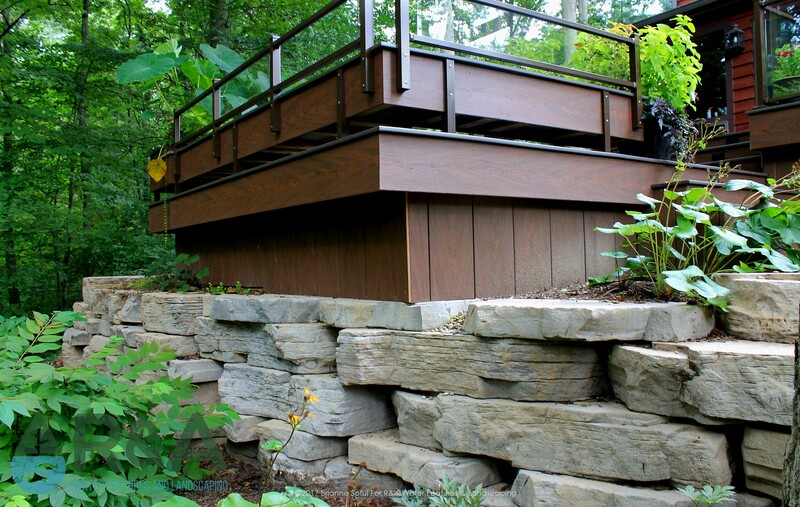 This creates a great flow along the property, and makes many areas easily accessible. 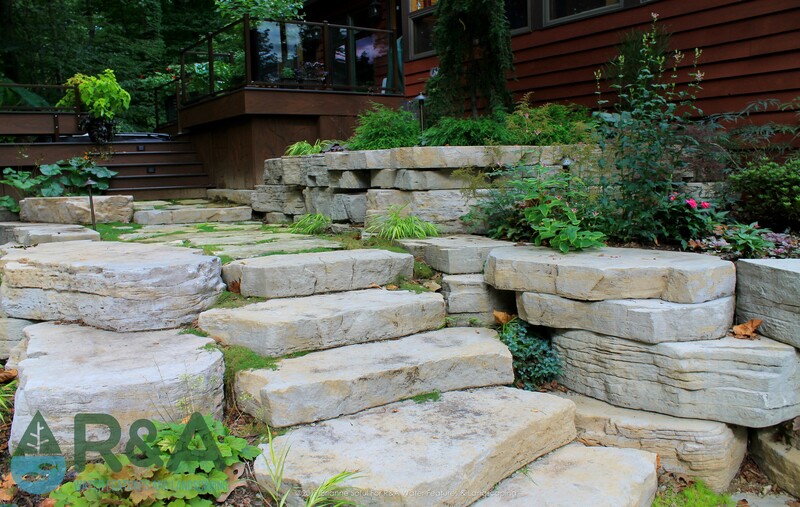 These Chicago residents can now escape to their Eau Claire getaway and enjoy every moment outdoors in their updated outdoor living space. Stay tuned for Phase II, beginning Spring of 2017!